Choose your sling color! Choose between black, green or FDE! 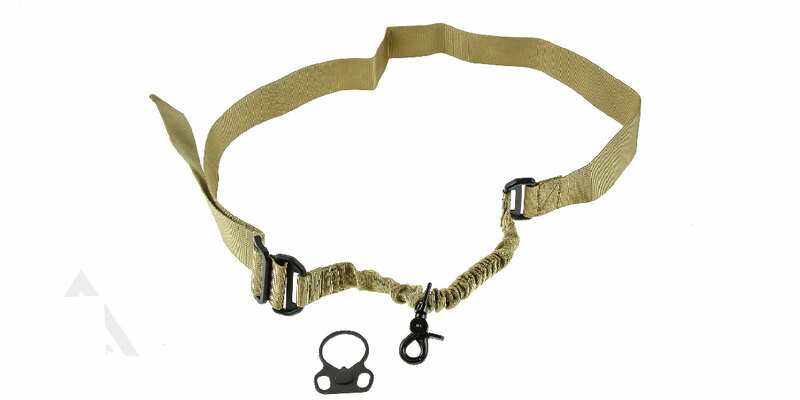 This combo includes an AR-15 One Point Tactical bungee sling with HK clips as well as an ambidextrous sling mount. This one point tactical sling allows you to ergonomically rest your rifle without binding of a two or three point sling. 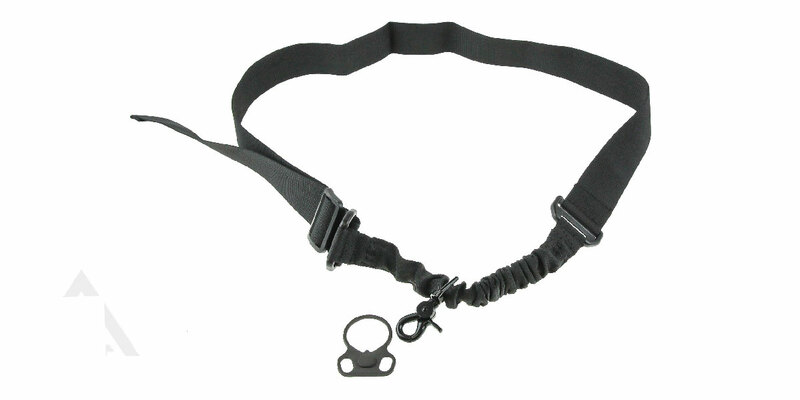 One point slings are excellent for applications requiring a high amount of tactical readiness such as speed reloads, acquiring a fast sight picture, or stowing your rifle in the low ready position while having both hands free for use. 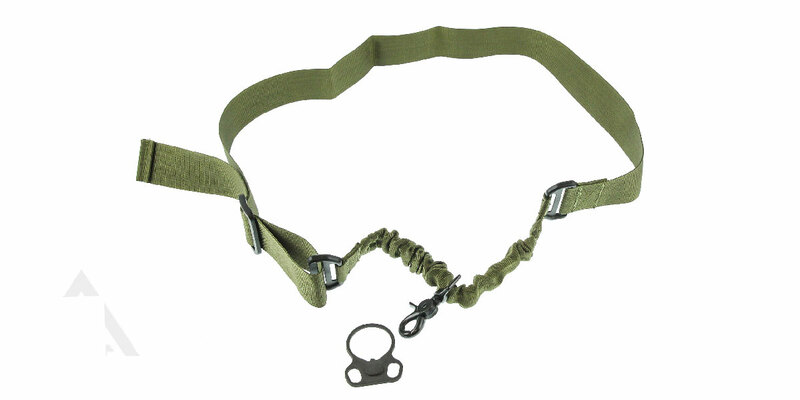 One point slings are especially useful for disengaging your primary weapon and transitioning to a secondary sidearm. This Double Star ambidextrous sling mount is a machined steel replacement for the factory receiver plate gives an AR fitted with an M4-type collapsible buttstock a convenient, low-profile attachment point for clip-on, single-point slings. Precision machined from 1018 carbon steel for superior strength and an exact fit, with a Mil-Spec manganese phosphate Parkerized finish that resists abrasion and corrosion, and matches the finish on mil-spec anodized receivers. Built to military specifications. Available in the versatile ambidextrous configuration that lets you swap the sling from one side of the receiver to the other. Made in the USA.